Before you begin to use the GDK, you need intermediate or better knowledge in Android development. This quick start gets your environment set up with the GDK and shows you how to install your first piece of Glassware. Check out the pattern guides for detailed information on how to build Glassware. Head on over to the pattern guides and developer guides for more learning. We recommend starting with the Building Your First App training class at the Android developers site and then building a few simple Android apps before building GDK Glassware. 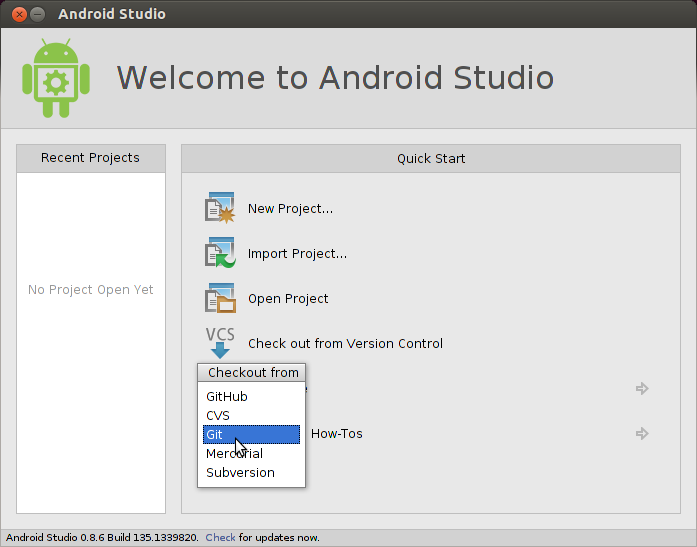 We recommend installing Android Studio for easier development. The rest of these steps assume you have this installed. Click Configure > SDK Manager. 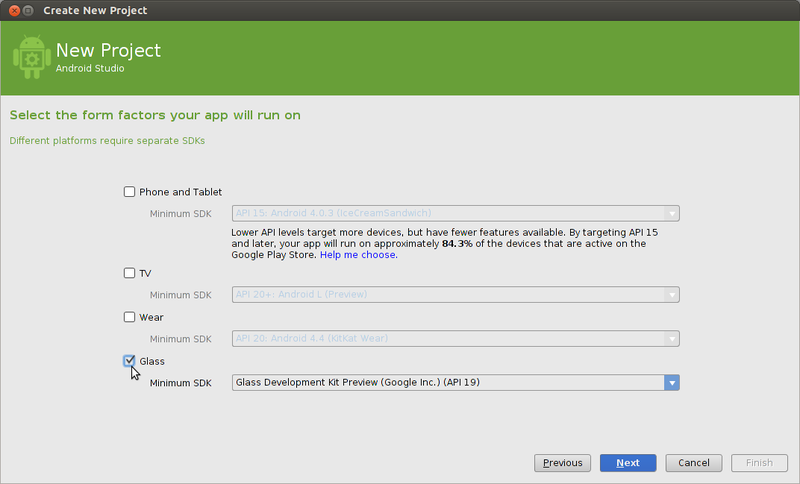 Install the SDK Platform and Glass Development Kit Preview for Android 4.4.2 (API 19). Everything else is optional. On Glass, go to Settings > Device Info > Turn on debug to enable adb, which allows your development system to communicate with Glass. Connect Glass to your development system and tap on the touchpad to authorize debug access. ApiDemo: Gallery of some GDK APIs usage. Compass: Simple compass using a LiveCard. Stopwatch: Simple stopwatch using a LiveCard. Timer: Simple timer using a combination of Immersion and LiveCard. Click Check out from Version Control > Git. Use one of the samples' clone URL in the Vcs Repository URL field (example: https://github.com/googleglass/gdk-apidemo-sample.git). Click OK on the following two screens.